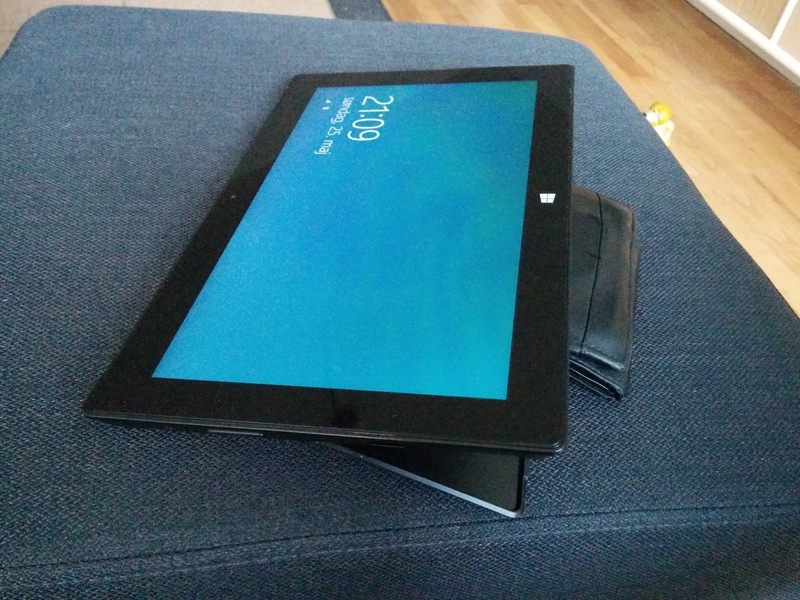 Missing that 150 degrees angle of the kickstand on your Surface (Pro) 2? • Rotate the unit so that the top is towards you. • Flip out the kickstand and simply insert your wallet or mobile phone behind it. The button placement feel somewhat messy this way but that might not be an issue for you.